Ning Shu felt schadenfreude when she saw An Rong like this. It was the original host’s feelings, but it was Ning Shu’s feelings as well. She had been beaten up by An Rong right after she transmigrated to this world. She could endure the pain, but having her hair grabbed and her head rammed against the wall was painful and humiliating. Leng Ao immediately had someone send over a brand-new desk when he found out that Ling Xue’s desk broke. Ning Shu silently set her three-legged desk upright as she watched Leng Ao question Ling Xue in concern. He looked worried but still acted like a tsundere. His self-important manner caused Ning Shu’s lips to twitch. Ning Shu blinked without saying anything. Why was she being dragged into this? “Hey, I’m talking to you!” Leng Ao lifted his leg and overturned Ning Shu’s desk with one kick. Of course, the desk didn’t ram into Ling Xue this time. Ning Shu watched as her desk fell to the ground with a creak. The desk was innocent. Why were they all venting their anger out on the poor desk? Ning Shu felt that these people were all very mentally ill. Every single one of them lived inside their own world and saw things however they wanted to. Everyone in the class had seen what happened earlier, yet not a single person stepped out to speak for Ning Shu when Leng Ao put the blame on her. Ning Shu’s heart chilled as a sensation of loneliness washed over her. How exactly had the original host been able to endure being ignored and trampled on like this by others? Ning Shu recalled the original host’s ending in the story. When the female lead got seriously annoyed with Lin Jiajia, this little clown, the male lead had sent his subordinate to deal with this ignorant woman. The male lead’s subordinate was also a pervert. 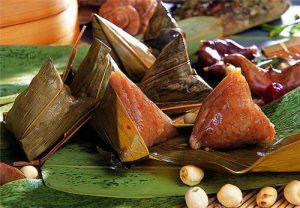 As if playing a game, he tied the original host up into a zongzi shape, and then moved far away to throw an axe and see where it would hit. In the end, the axe cut into the original host’s shoulder, barely an inch from her neck. The axe ended up firmly embedded in the original host’s collarbone area and couldn’t be pulled out. So the pervert kicked her into the sea for the fish to snack on. The way the original host died was truly appalling. Ning Shu looked at Leng Ao and the way he looked down at everything with an aloof manner as if he was a god. She really wanted to just punch him in the face. Why exactly had the original host been so obsessed with this kind of person, to the point that she couldn’t forget about him even after death? Ning Shu really didn’t get what part of this person was charming, he was just a sack of skin. This indicated that she had stayed in the hospital too long. Ning Shu, whose sense of aesthetic had diverged from that of ordinary people, expressed that she didn’t understand. Leng Ao looked at the beautiful, slender fingers on his arm. Each finger was like a polished, first-rate piece of sheep-fat white jade, enchantingly beautiful and carrying a slight glow. Leng Ao’s heart melted the moment the beautiful woman placed her hand on his arm. All sorts of grass mud horses ran through Ning Shu’s heart. From the start this had nothing to do with her, so Leng Ao’s current magnanimous attitude seriously felt disgusting. She really did attract bullets even when lying down in a trench. These people were all mentally ill, weren’t they… mentally ill… weren’t they? If you’re ill, you should go to the hospital. Don’t give up on treatment. However, what surprised Ning Shu was the fact that Ling Xue had actually spoken up for her. This didn’t make Ning Shu relax at all. She hadn’t forgotten the murderous intent in Ling Xue’s glare earlier. Leng Ao originally wanted to say that as if this kind of person was fit to come to his birthday party, but since Ling Xue had spoken, he naturally had to give her face. Ning Shu: Everyone in the world could be described as kind-hearted, but Ling Xue really couldn’t count as kind-hearted. Could a person who paid no regard to the law and had no moral bottom line really be called kind-hearted?